Salinity has been identified as key abiotic stress factor limiting rice production in many countries around the globe, including Bangladesh. In the present study, we examined the effects of salt-induced toxicity on growth of rice landraces for screening salt-tolerant genotypes by assessing morpho-physiological, biochemical, and molecular responses. Screening of 28 rice genotypes at seedling stage was performed at 12 dS m−1 salinity level in hydroponic media. Most of the rice genotypes showed an apparent reduction in growth traits, while a fewer showed less reduction under salinity stress. Euclidean clustering and heatmap based on morpho-physiological parameters dissected rice genotypes into three major clusters, viz., susceptible, moderately tolerant, and tolerant. Results of cluster analysis revealed Nonabokra, Hogla, Ghunsi, Holdegotal, Nonabokra, and Kanchon as salt-tolerant rice genotypes. These genotypes also were grouped using three microsatellite markers, viz., RM493, RM3412b, and RM140 that were closely linked to saltol QTL showed Hogla, Ghunsi, Holdegotal, Nonabokra, Kanchon, BINA dhan-8, and BINA dhan-10 as salt-tolerant genotypes considering genetic similarity in dendrogram. The positive relationships of Na+/K+ ratio with hydrogen peroxide (H2O2) and malondialdehyde (MDA), and antioxidant enzymes’ activity in the tolerant rice genotypes indicated their importance for improving salinity tolerance. 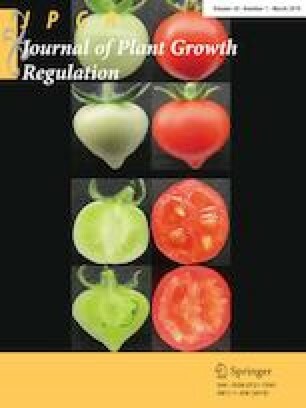 The salt-tolerant landraces showed lower Na+/K+ ratio, high proline accumulation, lower H2O2 accumulation and MDA content, and higher catalase and ascorbate peroxidase activities. Higher antioxidant enzymes’ activity and lower H2O2 accumulation in tolerant genotypes indicate their abilities to fight against oxidative stress. Based on all morpho-physiological clustering, biochemical response, and molecular dendrogram, Nonabokra, Hogla, Ghunsi, Holdegotal, and Kanchon were identified as the salt-tolerant landraces. Therefore, these identified salt-tolerant landraces could be useful to improve breeding program for the development of salt-tolerant high-yielding rice cultivars in future. The online version of this article ( https://doi.org/10.1007/s00344-019-09962-5) contains supplementary material, which is available to authorized users. The authors are grateful to the Bangladesh Institute of Nuclear Agriculture (BINA), Mymensingh, Bangladesh for providing rice seeds throughout the experimental work and also grateful to the Mirza Mofazzal Islam, Chief scientific officer, Plant breeding division, BINA, for help with laboratory work. LH conceived the project and planned the study. MR performed the experiments, analyzed the data, and wrote the first draft of the paper. MT-U-A guided the biochemical analysis and performed the critical revision of the data and wrote the final version of the paper. MAH contributed to the writing of the manuscript. MAS did the proof-reading of the final draft and edited. The authors declare that there are no conflict of interest in the present study.